Mark Kozik has been a resident of Greater Atlanta since 1999 and a Licensed Real Estate Agent in the State of Georgia since 2003. Mark takes great pride in helping potential buyers understand the home buying process. Mark believes in a non-pressure approach to home buying. In addition, his expertise in listing/selling properties has brought his clients top-exposure and top-dollar for their homes. Mark has an extensive background in contract negotiations, data analysis, media planning, marketing, and communications. He has a Bachelor's Of Science Degree in Management, with a minor in Business Administration. In his personal time, Mark enjoys spending time with his family and friends, working out, playing tennis, watching sports, and taking long walks with his dogs, Gizmo and Gigi. If you're looking for a home buying/selling experience with a knowledgeable and understanding agent who will exceed your expectations, please reach out to Mark today for all your real estate needs. 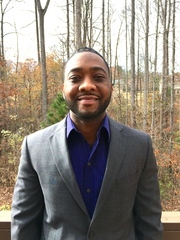 Curtis has been a resident of Greater Atlanta since 2010 and is a licensed State of Georgia Real Estate Agent. He takes time with his clients to make sure they understand the home buying/selling process from start to finish. Curtis is effective at negotiating the best deals for his clients, but maintains a non-pressure approach to home buying/selling. Curtis has an impressive background in project management with top-level executive experience. He has earned both a Bachelor's and Master's Degree, as well as, various professional certifications. In his personal time, Curtis enjoys spending time with his daughter, Aryanna, family and friends, working out, watching movies, and playing with his dogs, Gizmo and Gigi. If you're looking for an exciting home buying/selling experience with a confident, knowledgeable, and determined agent who will exceed your expectations, contact Curtis today!